Competitive personal insurance can be complex, with many different kinds of insurance coverage and exclusions. Not all San Diego personal insurance policies are created equal, which means it is very important to have a licensed professional review your personal risks and create a program that is just right for you. Our team has the experience to review your personal risk exposure and then design a personal insurance program that will offer the best possible combination of coverage, price, and service. Let us show you how that works by offering a review of the most essential kinds of personal insurance products. Do you own any income property? Do you use your home for large fundraisers? Are there any changes in your marital status? Do you plan to have children in the near future? Have you had an increase in your income? Do you use a landscape service? Are you operating a home-based business? Would your long-term financial health benefit from an umbrella policy? Depending on your answers, we might recommend certain competitively priced personal insurance coverage products. 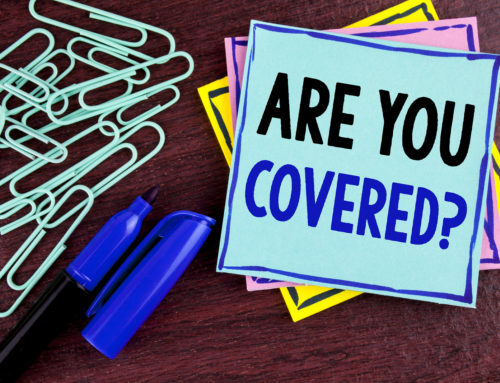 Here are some of the personal insurance products you might not have considered, but may need to, and should, consider. Coverage for domestic help. If you have a housekeeper, make sure they have business insurance in place. If not, you may be liable if they are injured on the job. Loss of use insurance. If your home is destroyed by a covered loss, you will need to rent for a period during re-construction. Without the right coverage, you may not have the funds necessary. Secondary buildings on the property. There is some limited coverage for “other structures” on your property. However, if you have a structure of any value, you may need to have additional coverage. Are you considering renting out your home? If you have decided to rent out your home while you are on vacation, you may not be covered. Many insurers exclude coverage for rental property without proper coverage changes. Art, wine, or gun collections. If you are a collector, it is important to have your collections insured to replacement or appraised value. Wine collecting can be very enjoyable, but if you have a theft or loss, it is important to have the right kind of personal insurance. Added coverage for refrigerated food products. This coverage insures the content of your refrigerator and freezer, up to $1,000 in losses. Swimming pools. Many insurers will charge extra to cover swimming pools. Make sure you are covered. Call us today. Foreign travel. If you are planning any foreign travel, you should consider special travel accident insurance. Recreational toys need to be insured. If you own any boats, jet skis, ATV’s or other kinds of toys, they will need to be insured under a separate competitively priced personal insurance program. Life insurance. Often as you go through life, your life insurance needs change. If you have a major increase in income or assets, have a spouse go back to work, or are heading into retirement, you should review your life insurance. Consider a personal umbrella policy. In today’s world, everyone should consider a personal umbrella policy. A personal umbrella policy can add a great deal of additional insurance coverage over your home and auto insurance policies. In summary, we are in the risk business, and we are ready to help you manage your personal risks. We are an independent agent and can find the right combination of coverage price and service form dozens of your insurance companies.